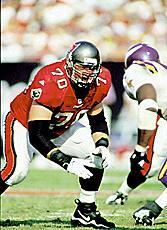 Another number that for a long time, was not blessed with some of the best talent in Buccaneer franchise history, and one that for the past two decades, has been the exclusive domain of the offensive line. After Randy Young had seen limited time with the expansion Bucs, Darryl Carlton started most of the 1977 and 1978 seasons at right tackle and did a reasonable enough job in the process, if not one to really challenge for the best-ever tag. 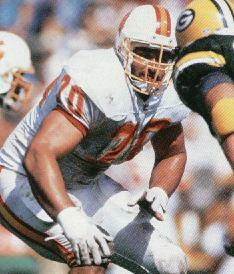 Scott Hutchinson's one claim to fame was to partially block a Mick Luckhurst fieldgoal in a 1981 encounter with Atlanta that helped send Tampa Bay on to the playoffs that season. 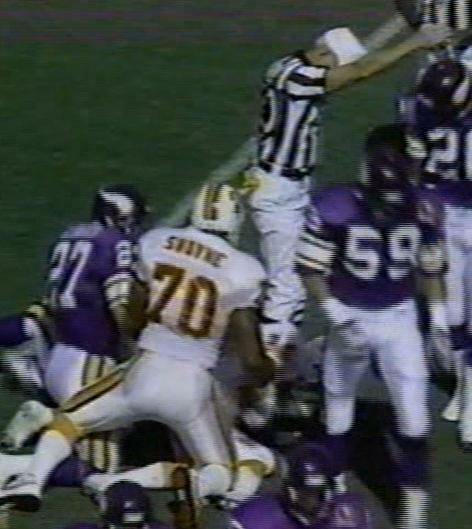 Harry Swayne ultimately went on to win more than one Super Bowl ring as a decent starting tackle but only after he had left Tampa. 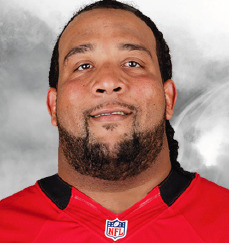 He began his Buc career as a defensive lineman but was switched to offense by Ray Perkins in 1988 and never looked back, even after having the misfortune to share a podium with myself at a Clearwater Bucs event in 1990. 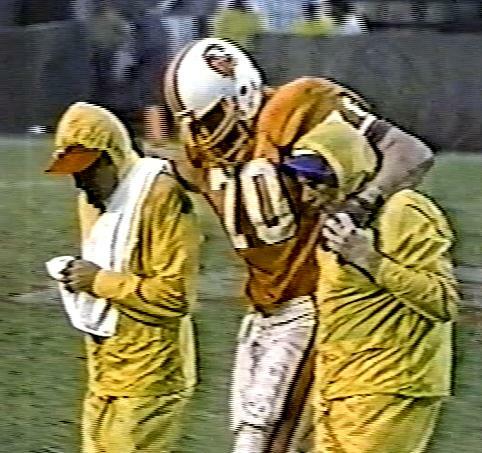 Charles McRae will always now be generally regarded as one of the biggest draft busts in franchise history which did leave Jason Odom to take the best-ever No.70 honour at the time after a four-year Buc career that saw him start most of that time at right tackle, only for a serious back injury to ultimately cause his retirement from the game just at the point where he was becoming a pretty decent NFL starter at the position. 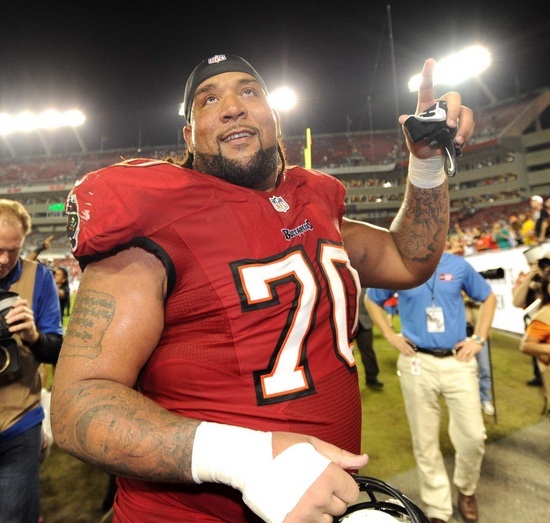 But then along came Donald Penn. He started over 100 consecutive games since coming off the bench to replace an injured Luke Petitgout and he went to the Pro Bowl in 2010. But he is a legend to British fans who were at the team practice in London in October 2011 and anyone who saw that trick play after we all called for it on the sideline will remember it forever.